Working Class Publishing is excited to announce the release of “Stocking Seams & Lipstick Queens” by the remarkable Claire Seville. For her first book, Claire has given us a collection of portraits showcasing her two distinctive styles – Good Girls and Bad Girls. 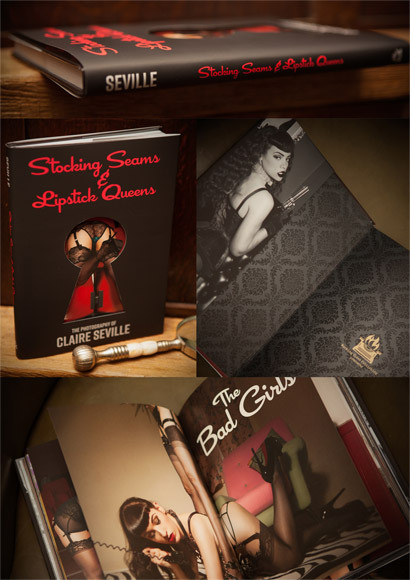 “Stocking Seams & Lipstick Queens” is a brilliant mix of the hard and soft, featuring some of the most beautiful and unique pinups in a stunning array of photography. Claire provides a refreshing viewpoint in this beloved genre, sure to please enthusiasts all over the world.